In the 1960s, I began my first job as a clerk stenographer in the criminal investigation division of the Internal Revenue Service (IRS). Working with IRS criminal investigators, and meeting Secret Service agents who enlisted other Treasury agent assistance when the president came to town, made me aware of the unique esprit of Treasury agents. My second job as a secretary at a U.S. embassy heightened this awareness when the vice president arrived protected by his Secret Service agent detail. Both the Secret Service and IRS Treasury agents had an aura–a common demeanor that included confidence, alertness and focus. Then I thought the common demeanor had something to do with the joint training schools they attended. Today, I think organization location is the key. The recent problems of the Secret Service have made me rethink my original assessment and two opposing views define the parameters of my analysis. Former Secret Service Director H. Ralph Basham articulated the first view in 2003 at the National Sheriffs Association Mid Winter Conference. Basham noted that the Secret Service’s role in response to crisis had evolved during its 137-year history. He concluded that the events of 9/11 required better coordination with other law enforcement agencies and Secret Service’s move to the Department of Homeland Security was the next evolutionary step. Ron Fournier articulated the second view in his National Journal column entitled “Pierson Punted: Obama, Congress Must Now Undo Bush-Era Injustice to Secret Service.” Echoed by some legislators, Fournier suggested the current problems resulted from the move to Homeland Security and Secret Service should return to Treasury. My view is in the middle. 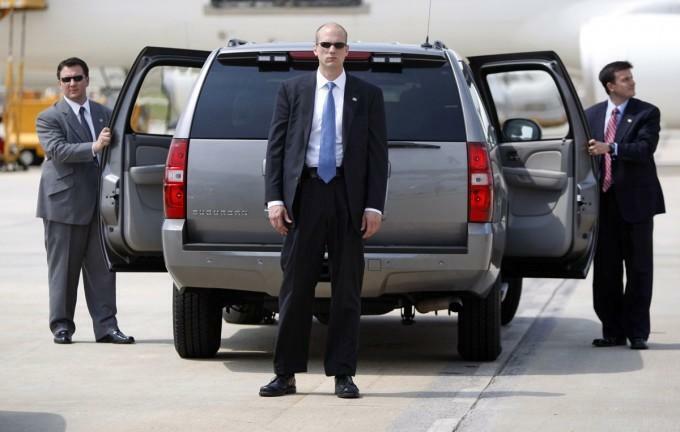 The Secret Service mission did not evolve after 9/11. Established in 1865 to address financial crimes, the Secret Service gained only one substantially different mission in 1901, protection of national leaders. All other mission additions fall into either the 1865 financial protection mission or the 1901 leadership protection mission including the 9/11 changes which merely expanded the leadership protection mission. What changed was the emphasis on each mission. In Treasury, protecting national leaders was unique while protecting the financial system connected the Secret Service to Treasury’s mission. In Homeland Security, the financial protection mission is unique while leadership protection connects to the Homeland Security enforcement mission. As Fournier points out, while in Treasury protecting the president was a source of pride. However, in Homeland Security protecting the president is just another law enforcement activity. Organization matters! Fournier comments that the change to Homeland Security, with enforcement being primary, affected Secret Service morale, recruitment and the agency brand. However, morale, recruitment and branding problems in Homeland Security are not unique to the Secret Service. For example, Homeland Security components have conducted numerous morale studies with similar results. In fact in a 2014 survey about best places to work in government, Homeland Security came in last. Yet going back to Treasury may not be the best option. Both Treasury and Secret Service are different from what they were 12 years ago. Organizations move on after change. Work processes are different. Challenges are different. Staff members are replaced with those who have no memory of earlier times. Relationships that once greased organizational interactions are gone. The puzzle piece edges of the Secret Service/Treasury connection will no longer fit after 12 years of abrasion in differing organizational contexts. With the old connections gone, return will only create the same misfit situation in the old agency. Instead, the solution is long term and twofold: heal the residual pain of the Treasury breakup and develop a new identity in Homeland Security—an identity that provides the Secret Service a unique reason for pride in its mission. More importantly, the healing and identity development initiatives need to go beyond the Secret Service and deal with similar, but less visible, problems throughout Homeland Security. While the current situation in the Secret Service may be dismaying, the experience can offer a cautionary tale to future government reorganization. Effective organization structuring involves more than putting complementary missions together. Most organizations have multiple missions and can be co-located with a variety of agencies. Successful restructuring includes understanding how employees relate to their current organizations and avoiding severing connections that provide employee motivation and organizational pride because such connections can be the key to organization success.